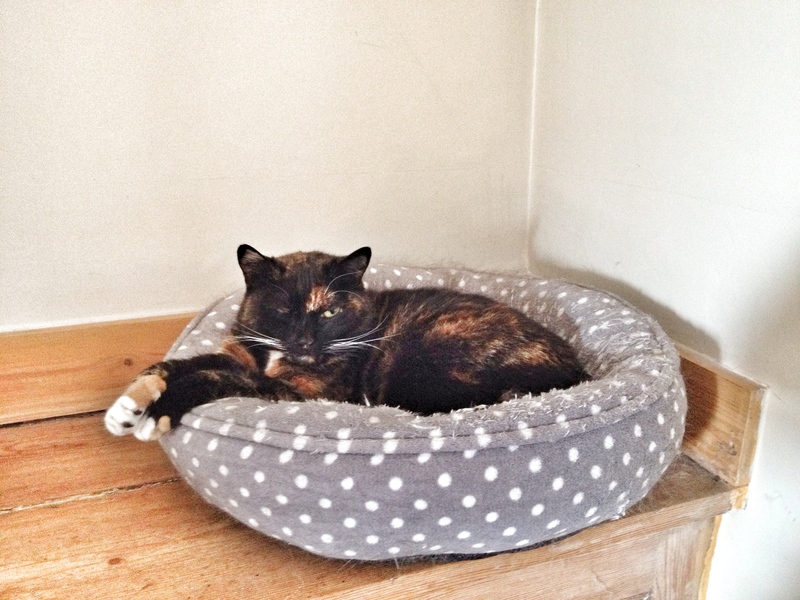 Another photo of Peri in her cat bed. This is where I find her most of the time. And then, later in the evening, she actually joined Pickles on the bed! This is rare. So much so that I had to capture it in a photo and publish it on my blog. And yes, that is the TV remote next to Pickles’ foot. Sometimes she actually manages to change the channel while I’m watching TV in bed. 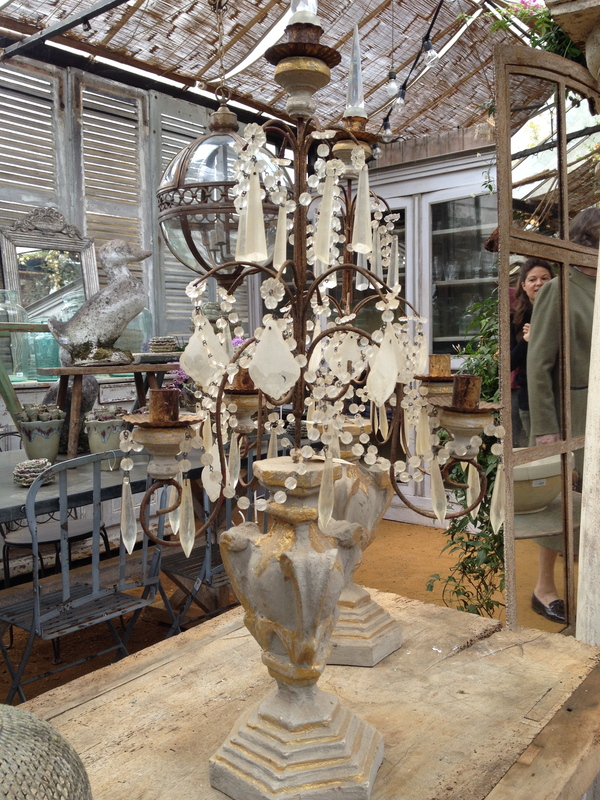 Photos that I took from Petersham Nurseries…such a beautiful place. I go there for an excellent cup of coffee and inspiration. 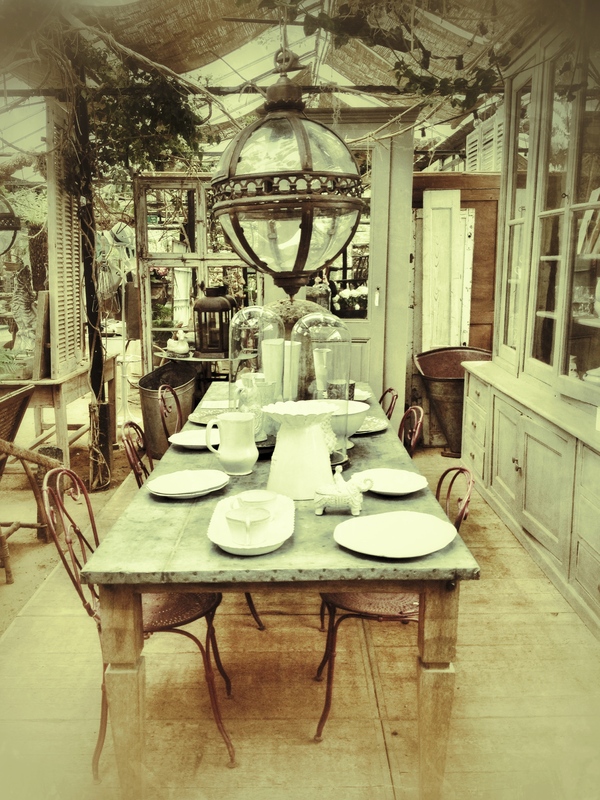 They have beautiful indoor/outdoor garden rooms that make me swoon. Definitely swoon-worthy! 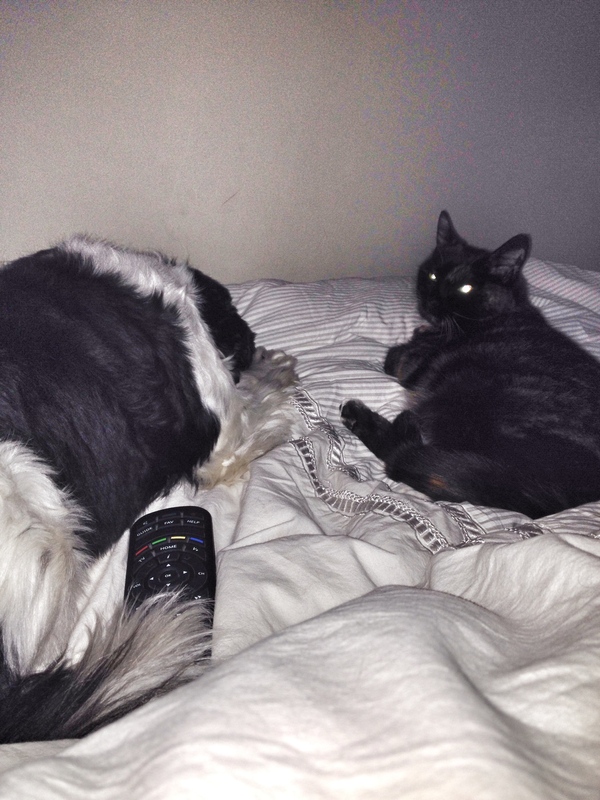 Peri seems precocious – it took our beloved tabby about four years to cozy up to our Boxer! Just last week I fell asleep watching television in bed. At around two in the morning I awoke to the sound blasting at top volume. My dog Chandler had rolled over on the remote and turned it up.